How wonderful to see you all again for the second time. My Panchakarma treatments this time were wonderful. The staff was warm, caring, and so helpful. All the very best to you in your business and family life. 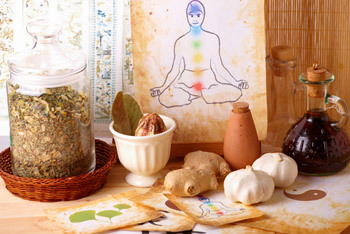 You have managed to open my eyes to Ayurveda – it makes so much sense. I have learnt such a lot in 4 weeks – massage, Panchakarma, Beauty care and Pregnancy & Baby Massage. The learning environment was relaxed and accommodating. The course content is comprehensive but taught in a very structured way. The practical sessions cover some wonderful massages – people in the west will love them. It is a good balance of theory and practical experience. Thank you very much for this very interesting 1 month course. I was very happy to learn with you and the way you taught me this amazing medicines based on nature. I discovered a new world, a new lifestyle, opening my eyes on may things!!! Thank you for spreading the science of life and well being through out the world. It is an important step in the evolution of the mankind and the understanding of each individuals self. After finishing the one-month course on Ayurveda & Panchakarma last year, which gave me a great knowledge about Ayurveda, I had the desire to learn even more. The diploma course gave me so much more understanding about this healing system. Thanks for the short period of time in Ayurveda & Panchakarma with you. Its fantastic, interesting and exciting how to use the practical Ayurveda, particularly the massage part that we want to learn. I have thoroughly enjoyed the one month course on Ayurveda, its presentation, and content. The teaching style was clear and very well structured. I wish you the very best of health and happiness for the future.